See Sharp Press, 9781884365775, 232pp. 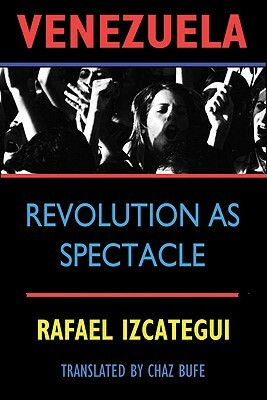 Rafael Uzcategui is the coordinator of the Programa Venezolano de Educacion y Accion en Derechos Humanos (Venezuelan Program of Education and Action on Human Rights); an editor of "El Libertario," the Caracas anarchist newspaper; the author of "Corazon de Tinta" ("Heart of Ink"), and a member of the left opposition to the Chavez regime. He lives in Caracas, Venezuela.Chaz Bufe is the translator of "Cuban Anarchism "and "Dreams of Freedom" and the author of several books, including "Alcoholics Anonymous: Cult or Cure?," "The Heretic's Handbook of Quotations," and "An Understandable Guide to Music Theory." He lives in Tucson, Arizona."